Happy (almost) fall! Come on in! 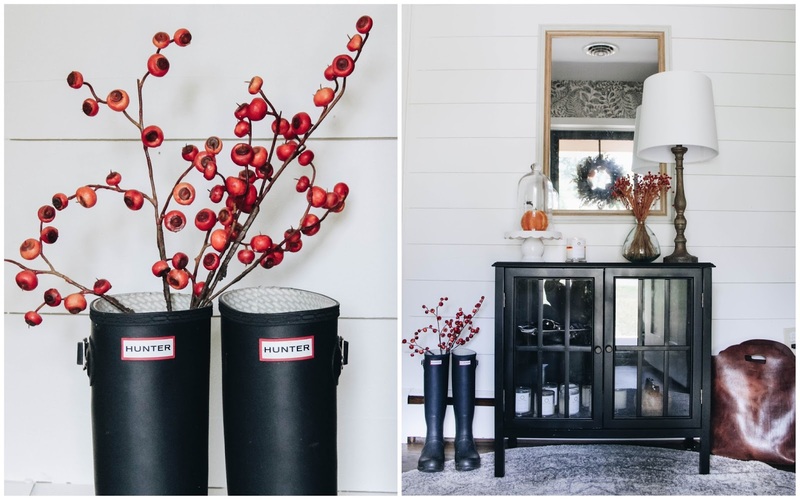 I am so excited to welcome you into my home today to share how I make our house cozy and festive for the season. 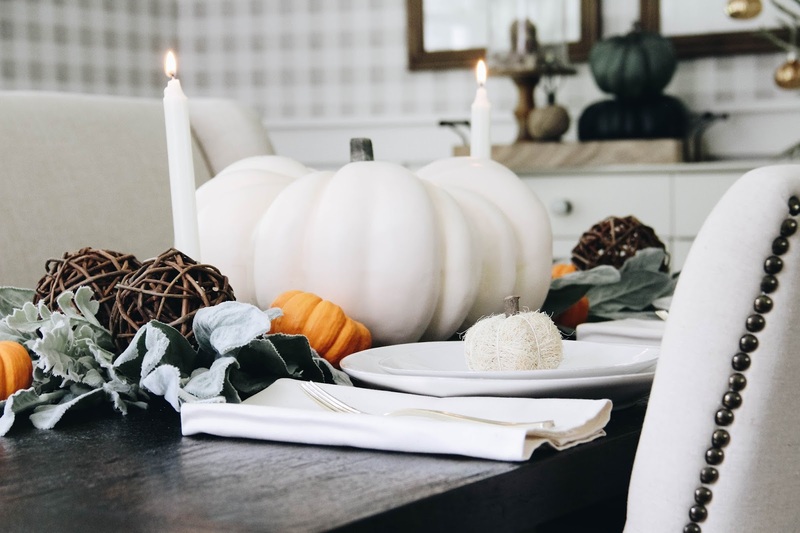 You know good and well that my home has been decked with pumpkins since mid-August, making this day a long time coming. Grab a cup of coffee and settle in with a blanket. 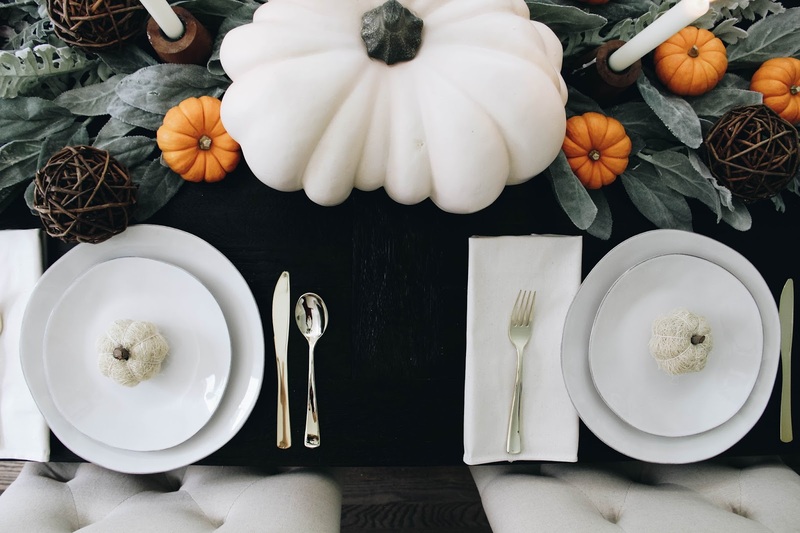 I've got a post full of photos and all things fall! I think my favorite thing about our family room is all of the natural light we get. 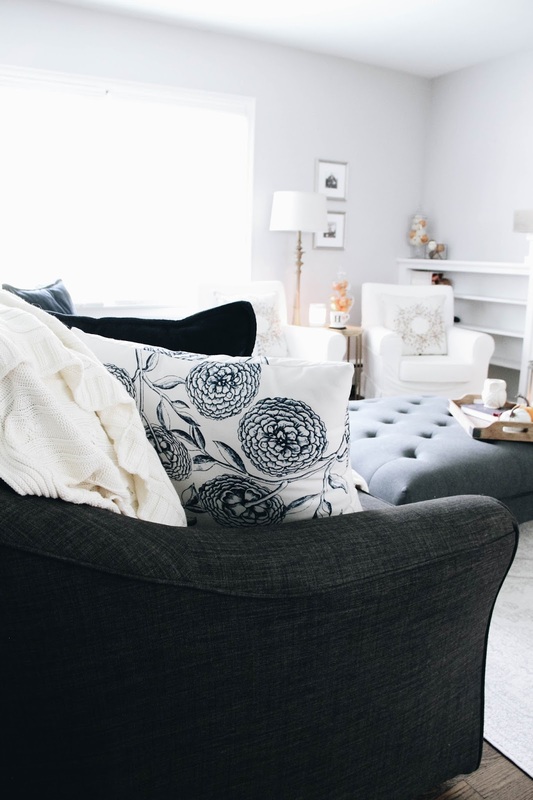 It makes everything feel fresh and airy, which is exactly the kind of way I wanted to decorate. This day last year we had just moved into our house, we had only been living here for four days. 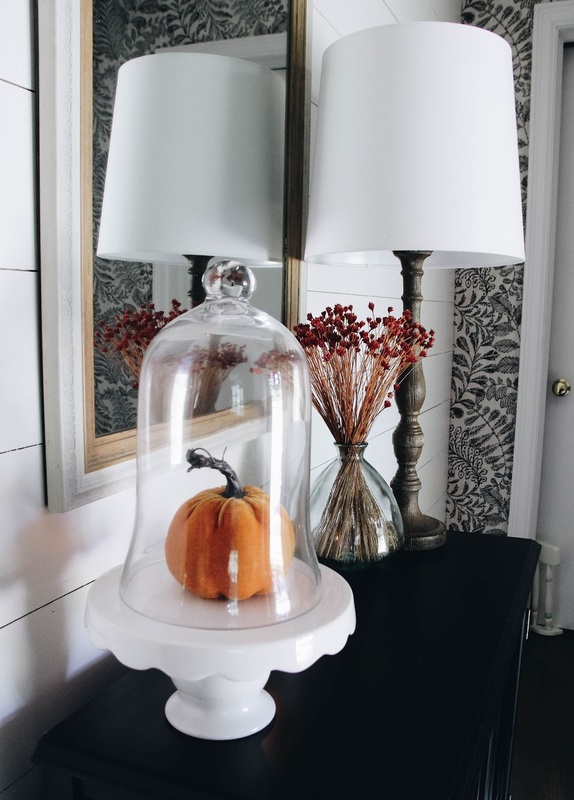 I didn't get to do a lot of decorating for fall because there were projects upon projects going on. This year I'm making up for it, but I am being more intentional with my personal style. I find that when you decorate for yourself, it always feels that much lovelier. 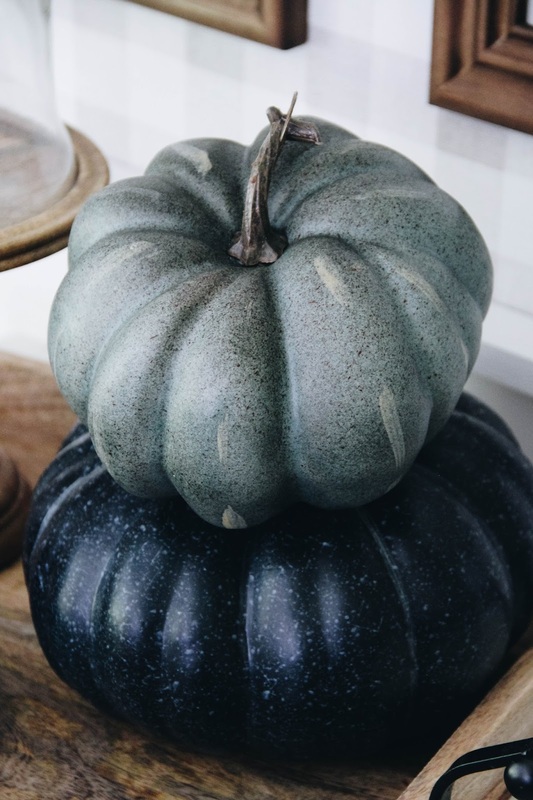 I opted to stick with oranges, reds, and little pops of blues since they're in our house year round. I have loved the classic combination of colors while also keeping a lot of neutrals in the background. 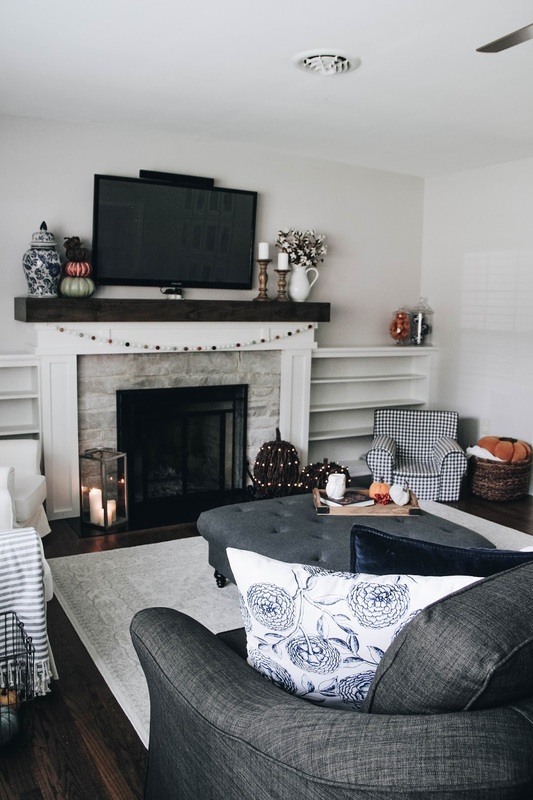 This time of year, as the air gets chillier, the leaves cascade down, and sweaters are the most important part of your wardrobe, a good fire is essential. I love the smell, the sounds, and the feel. However, we've been experiencing some summer temperatures this week after being teased with fall weather the last several weeks. This puts a crackling fire on the back burner. 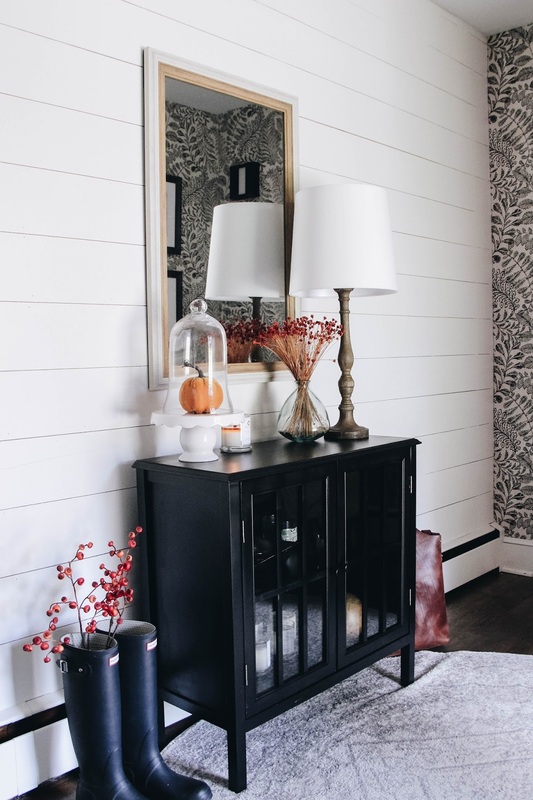 But, I love to cozy up a space with lots of candles and lamps. 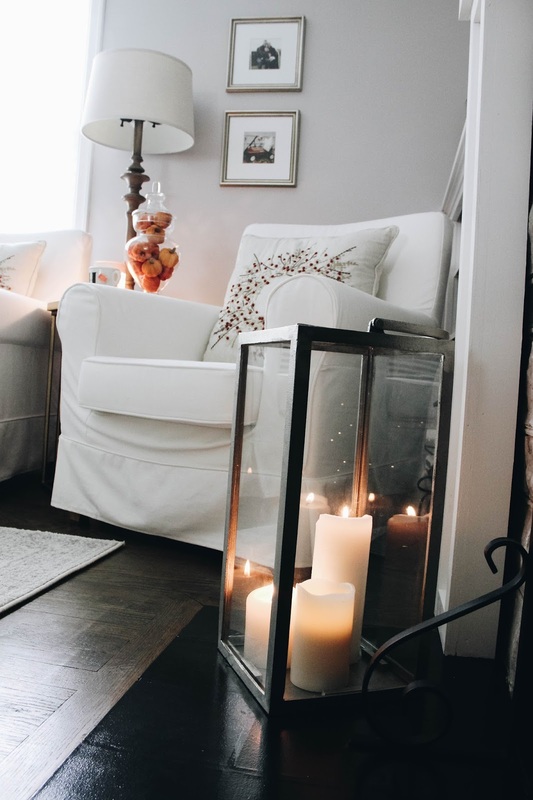 A lantern full of candles by the fireplace is the perfect way to make a room feel warm when you don't want the heat of a fire burning. And when it is cold enough for a fire, light those candles too, because it makes for the most wonderful sight. 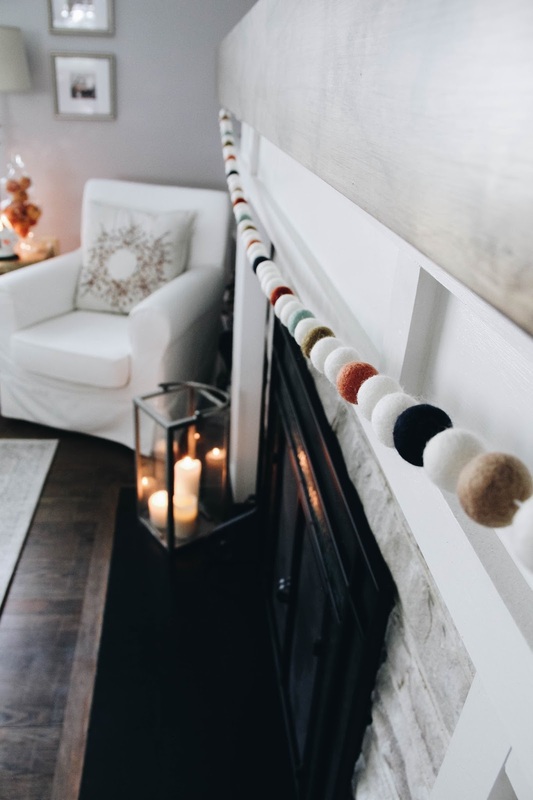 This wooly ball garland quickly became a favorite piece of décor. It perfectly complements the colors in the space without being an exact replica of what already exists. 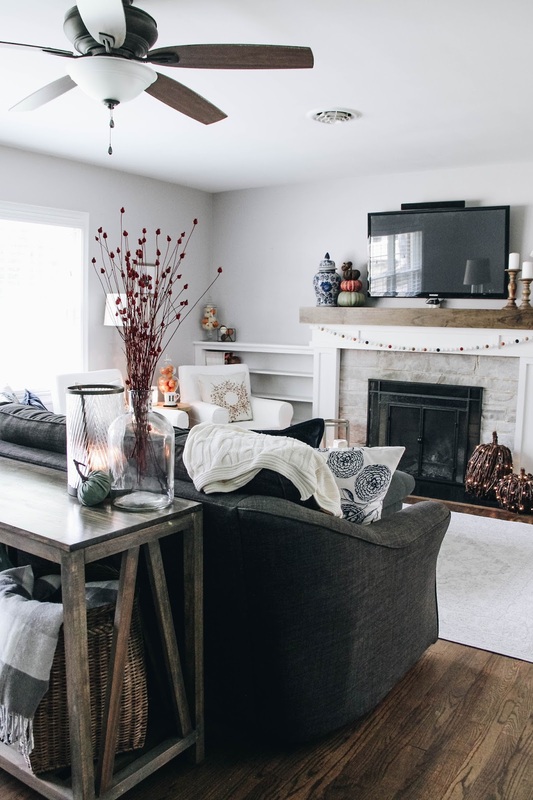 Heather owns Wooly Sheep Dots, and she let me design a garland that would fit seamlessly into my space. I'm in love! Aren't you? You can grab your very own "Fireside Cozy" garland in her shop. 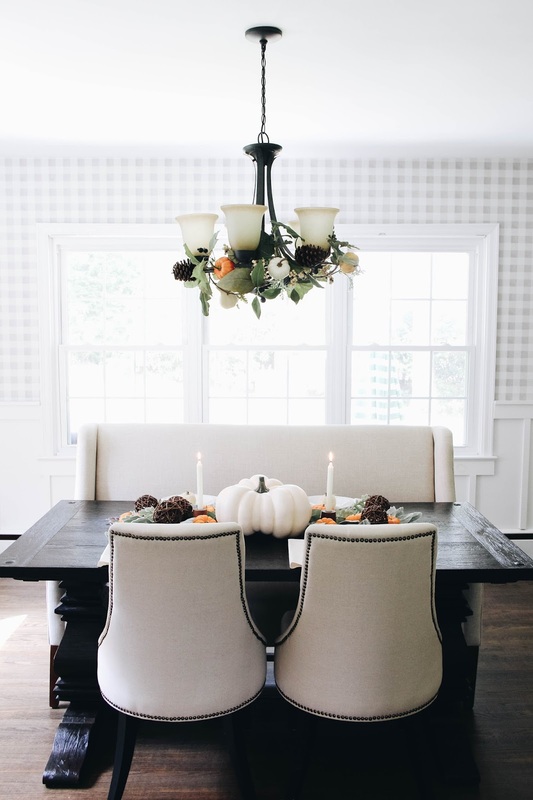 Use code: DARLINGDO10 today through the 25th for 10% off all garland! 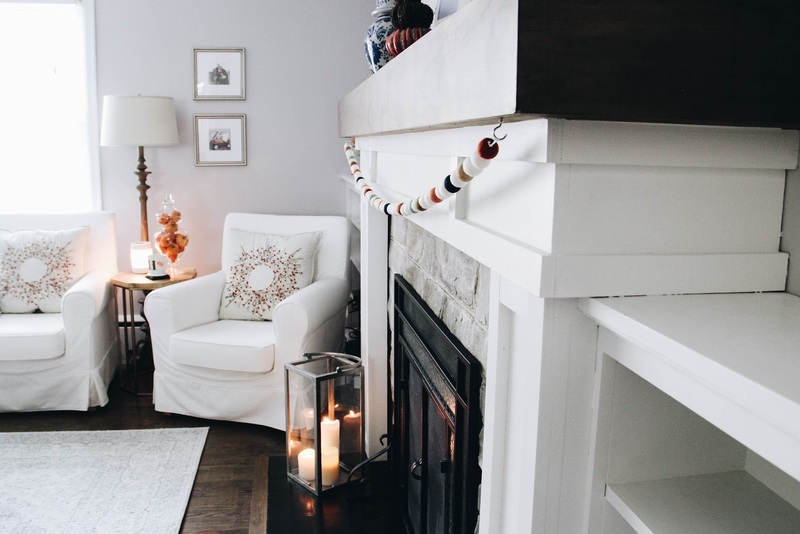 Now just imagine a fire roaring away in the fireplace. 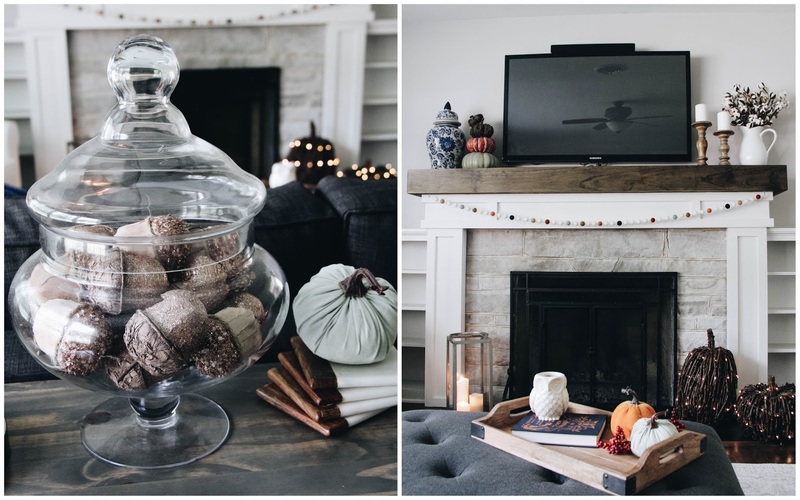 Want to come settle in with blankets, coffee, hot cocoa, and movies? 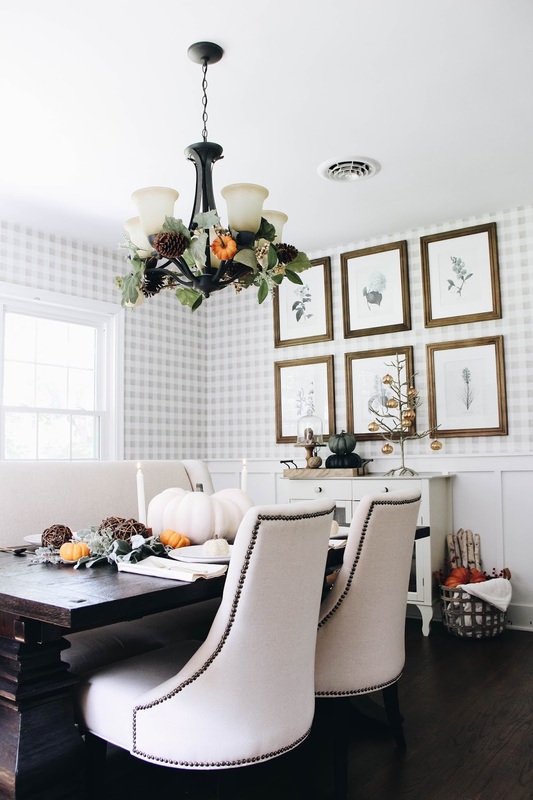 Our family room sits right next to the dining room, which is even more reason to carry the fall décor over into this space too. I kept with the same color palette, and added some greenery. I think my favorite thing is the garland I looped through the chandelier. It's just fun, and I love something fun and a little unexpected! Again, candles make all the difference. 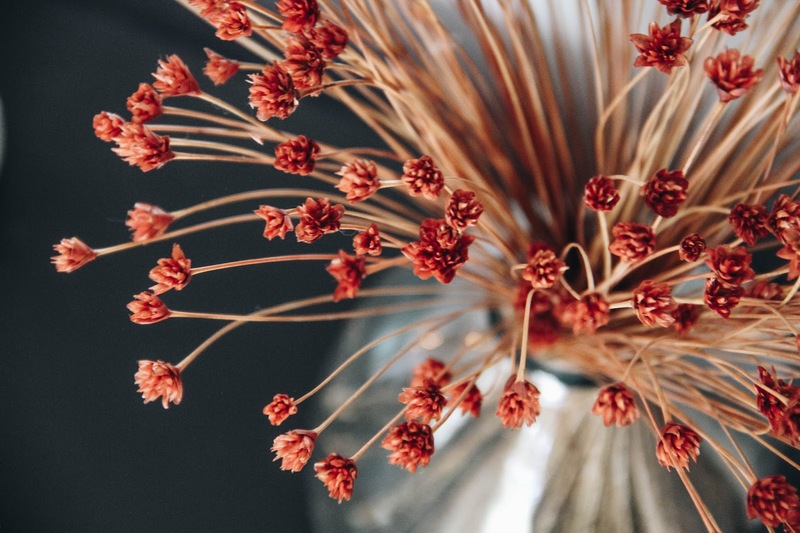 Light them when you can and add them to décor when you wouldn't normally think to do so. 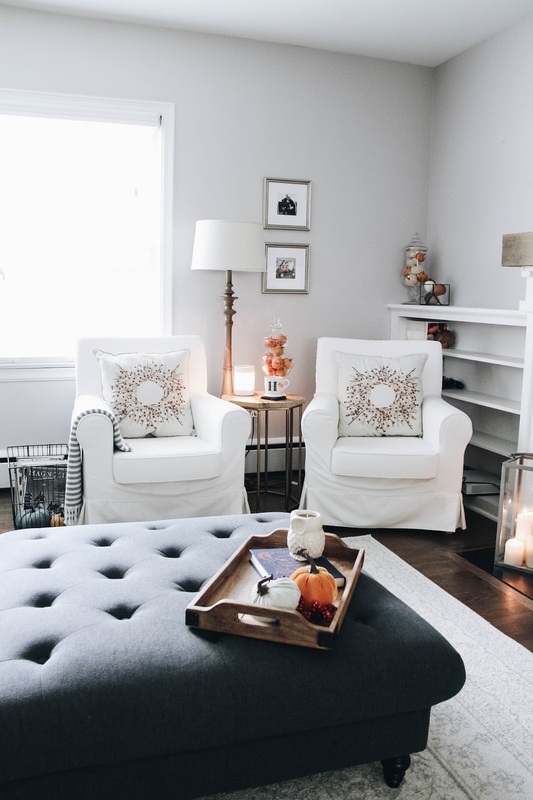 They're great at cozying up any room. Last, but not least, is the foyer. It's the first thing you see when you walk into our house. And it's important to me that it feels welcoming. 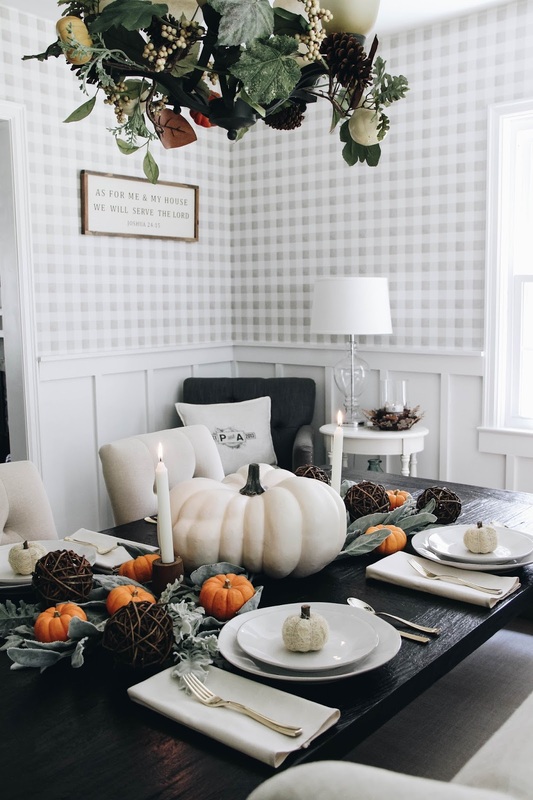 I kept is simple with several pumpkins and a few pops of dried flowers and some berries. It feels lovely and perfectly fall! Thank you so much for stopping by! 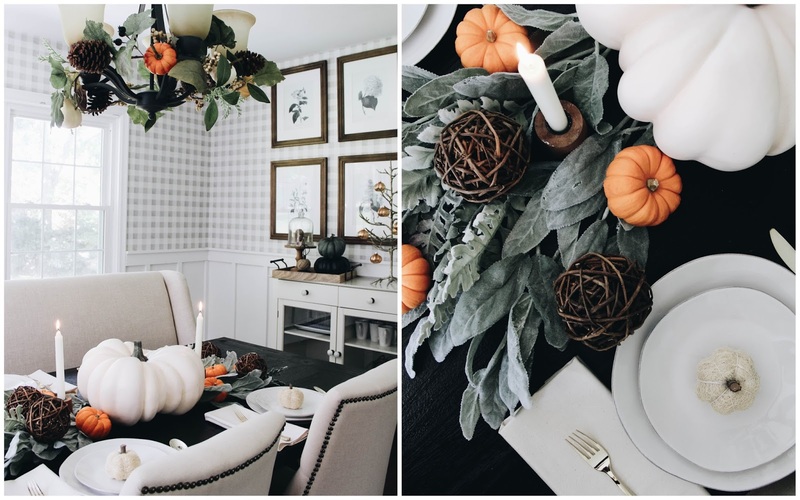 It was a joy to share my fall-decorated home with you. 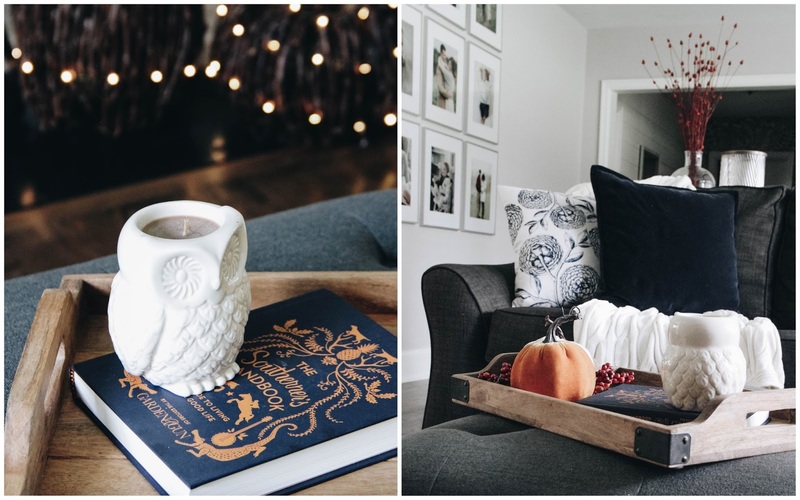 For even more fall décor and inspiration for transforming your house into a cozy and festivities space for the season, visit these gals' blogs!